1645 Vine Street in Hollywood, California. 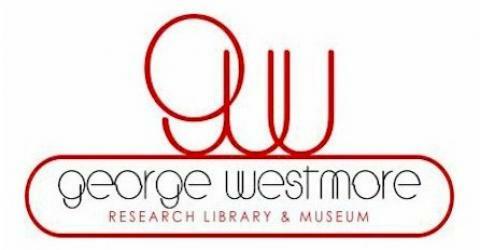 George Henry Westmore born in Newport, Isle of Wight, England was a wigmaker, saloon manager, makeup artist of Cockney Brit(ish); served in the British Army during Boer War, worked as a wigmaker and saloon manager in England; (Winston Churchill was said to have thought of him highly as a barber). George Westmore founded the first (tiny) makeup department at a motion picture studio at Selig-Polyscope Studios (1917), in Edendale, a suburb of Los Angeles next to Hollywood, developing techniques still in use today. Selig, William (1864-1948), U.S. motion picture pioneer, born in Chicago, Ill.; actor, theatrical manager 1888-99; improved early motion picture camera; produced first long historical motion picture Coming of Columbus’. Selig Polyscope Co. Selig set up his studio (1909), with director Francis Boggs, who began the facility in a rented bungalow and quickly expanded, designing the studio’s front entrance after Mission San Gabriel. An early production there was The Count of Monte Cristo. Edendale soon became Selig Polyscope’s headquarters. Selig produced almost a thousand movies and was responsible for developing new film talent such as Roscoe Arbuckle along with early cowboy western stars Gilbert M. “Bronco Billy” Anderson and Tom Mix. George, Like Max Factor, Sr., understood that cosmetic and hair needs were personal and would make up stars such as Mary Pickford (whom he relieved of having to curl her famous hair daily by making false ringlets) or the Talmadge sisters in their homes before they left for work in the morning. George and his sons built their own shops; they were all very handy with carpentry and plumbing. Usually back when films began, in the entertainment industry, Actors and Actresses did their own makeup. No single person was responsible for the hairstyling or makeup many times actors would help one another. George: married 1) Ada Savage, 1901; 19 children, including the six sons listed below, a daughter Dorothy, and others who died young; 2) Anita Salazar, 1925; daughter: Patricia. Montague “Monte” Westmore – Makeup artist born in Newport, Isle of Wight, England, who in 1920, worked in the lumberyard mill, then as busboy/dishwasher at Famous Players-Lasky studio; valet, then makeup artist for Rudolph Valentino (created the clean Latin look). His father George had created the Valentino look but it was Monte who refined it, defined it and perfected the style, which the world came to recognize. When Valentino died in 1926, Monte became a freelance artist for Gloria Swanson, Clara Bow, and Sonia Henie; Monte went to Selznick International where, thirteen years later, he worked himself to death with the enormous makeup demands for Gone With the Wind (1939); his feature work included makeup for Forbidden (1932), and Four Frightened People (1934). Monte: married 1) Edith McCarrier (divorced); sons: Monty, Jr., Marvin, and Michael; 2) Cora Williams; 3) remarried Edith McCarrier, 1934. (June 12, 1923-November 13, 2007) Montague George Westmore, II ..- Makeup artist. Work includes Blaze (1989), he began working for his uncle, Perc Westmore, at Warner Bros. His work with Paul Newman, Joan Crawford, Dustin Hoffman is legendary including a Oscar nomination for Hook (1991). His films include: What Ever Happened to Baby Jane? (1962); Chaplin (1992); The Shawshank Redemption (1992); Rio Lobo (1970). ..Monty Jr. remembers Joan Crawford..
Westmore was Joan Crawford’s personal makeup artist during the later part of her career, which included the 1962 film What Ever Happened to Baby Jane?, which also starred Bette Davis. Monty Westmore, Jr. describes in detail Joan’s makeup routine. In addition to carrying Crawford’s makeup to the set, Westmore also carried another of her essentials: a cooler containing vodka and ice. She tried doing that with a young Spielberg, but Westmore said he made sure the glass contained more water than vodka. “If she’d have smelled his glass she would have chopped my head off,” he said. Joan used Lux soap and Max Factor cosmetics and would scrub her face every night with soap and water. She was absolutely covered with freckles! Legendary glamour photographer George Hurrell, who photographed her many times didn’t like his subjects to wear face makeup, preferring to retouch their skin later. Montague “Monty” Westmore Jr. (June 12, 1923-November 13, 2007) A third-generation member of the legendary family of Hollywood makeup artists whose long career included: Touch of Evil died of prostate cancer at the Motion Picture & Television Country House and Hospital in Woodland Hills. In a nearly six-decade career that began at Warner Bros. in the 1940s, (launched his career in 1943 as an apprentice to his uncle, Perc Westmore, at Warner Bros. He then spent seven years at Universal.) Westmore amassed more than 100 film credits, including: 3 Women; Stand By Me; The Shawshank Redemption; Se7en; Star Trek: Insurrection; Chaplin; – as well as doing uncredited work on films such as The Treasure of the Sierra Madre. He also was Paul Newman’s favored makeup artist and worked on more than a dozen of the actor’s films over three decades, including: The Life and Times of Judge Roy Bean; The Verdict; Fort Apache; the Bronx; The Color of Money; Message in a Bottle; Buffalo Bill and the Indians, or Sitting Bull’s History Lesson; The Hudsucker Proxy; Twilight; Towering Inferno; Fat Man and Little Boy; Mr. & Mrs. Bridge; and Sometimes a Great Notion. ..Paul Newman – “I think once it was announced I was doing a film, it was just automatic that Monty would be doing the makeup,” and “When working on a film, there is a lot of pressure, and he was so low-key and kind of slipped underneath all that aggravation and everything.” Newman also commented, “It was very comforting to have him around. He will be sorely missed.”.. In 1992, Westmore shared an Academy Award nomination for best makeup for his work on the Steven Spielberg-directed film Hook. Monty had also worked with Steven on: Night Gallery, and Jurassic Park. He also shared Emmy Award nominations for outstanding achievement in makeup for the 1983 TV movie Who Will Love My Children? and for the 1996 TV movie The Late Shift with his last screen credit on Ron Howard’s 2000 film How the Grinch Stole Christmas. Monty Westmore is survived by his wife, June; his children from a previous marriage, Wendy, Missy, Terri-Anne and Monty; his brothers, Marvin and Michael; and five grandchildren.